Recently, we reported about Cache — an upcoming service from the folks at Microsoft Garage. With Cache, users will be able to bookmark something on their Windows PC, and access it from their iPhone. For example, you can bookmark a link on your PC, and be able to access it on your iPhone (and vice-versa). Additionally, you can “capture” things like text snippets, images, we pages, files, notes, etc. 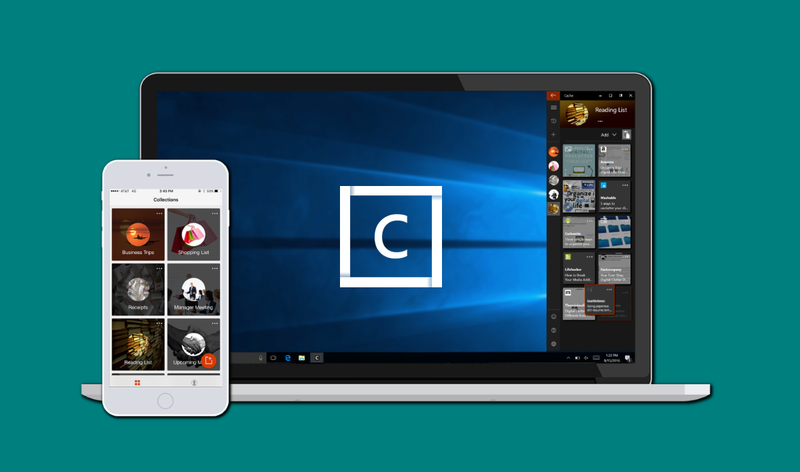 Cache will very similar to OneClip — which is also a Microsoft Garage product. OneClip included a similar set of functions — for example, users were able to copy something on their mobile device (Windows Phone, Android, iPhone) and access it on their PC (Windows and Mac). Unfortunately though, OneClip was killed shortly after it leaked and Microsoft never made it official. Cache will also allow users to organize their bookmarks in groups which they can create by projects, clients, task, ideas, etc. For example, if you are working on a presentation and want to store all the information you find via researching, you can easily store the information on a group using Cache. Unlike OneClip, Cache won’t be available on all of your devices. At the moment, Cache is only available to those on Windows and iOS. If you own a Windows Phone device or an Android smartphone, you’re out of luck — at least for now. As for OneClip, Microsoft is reportedly planning to bring the service back next year with a new name and more features which will be pretty interesting to see. Cache isn’t available for download just yet, but it should be available pretty soon. If you would like to sign-up for the app, head over to the official website here.